The addition of a bifold door to your home has been shown to be a valuable asset; not only will it add light and space, but also having a bifold door has proved to be a tremendous selling point when the time comes for you to move house. Bifold doors have to be accurately installed which is why you need good advice from a trusted and experienced company. Camberley Glass and Windows is a local company which has been supplying bifold doors to the Chobham area for many years. We have an unrivalled record in the field of glazing products and are on the Buckinghamshire and Surrey Trading Standards Approved list of traders. You can also see our impressive ratings on the Checkatrade website and the testimonials from satisfied clients which are on our website. This is why much of our business comes from personal recommendation. If you decide to buy a bifold door from us we will help you through the process of choosing the right door for your requirements and we can then do a survey and give you a quote. Our team of advisers and fitters is fully qualified and FENSA registered, so you can be sure that you are getting the best advice and quality of workmanship. 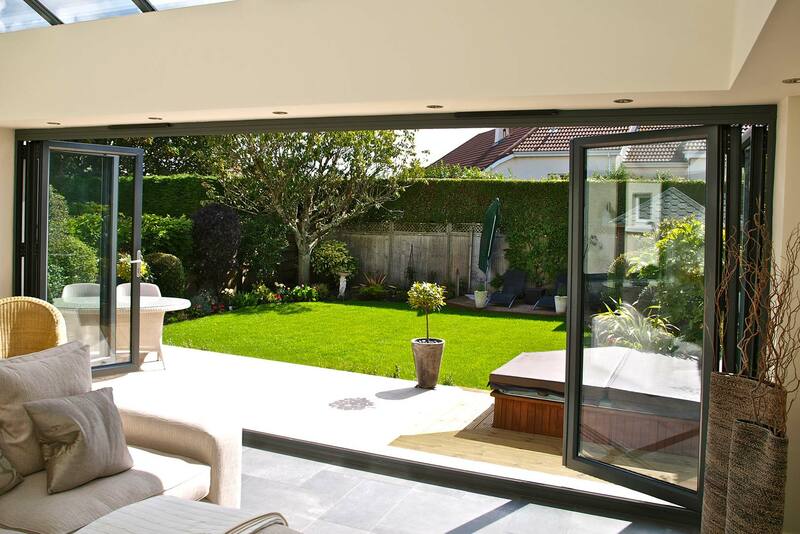 In addition all our bifold doors are fully guaranteed to provide you with peace of mind. Our showroom, at our offices in Camberley, Surrey, has a large range of bifold doors for you to see and try. You could pick up a brochure and if you would like to discuss your needs or if you would like us to answer any questions our friendly staff are always on hand to help. You can be assured that we want you to be satisfied with the correct product and will not indulge in any form of pressure selling.